Dj, producer and international remixer, Macs Cortella arouses interest and curiosity in the world of music since the conception of his JazzyFunk musical project in 2010. 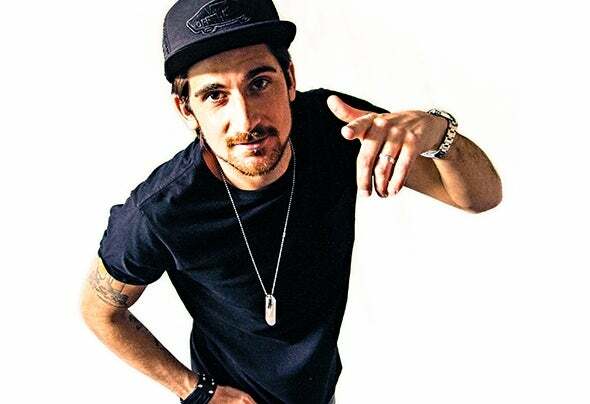 Born in Verona (Italy) in 1988 he slowly cultivated, with passion and dedication, his deep love for House music and for his collection of vinyls, which currently counts more than 10,000 pieces. Eclectic and perfectionist, Macs is in continuous and tireless search for ideas and suggestions that allow him to refine his style more and more, to make it unique. The studio is his natural habitat where he spends most of his time managing to create and perfect his songs more deeply and to realize different projects, individual or collaborative, including JazzyFunk, the most important.JazzyFunk is a project created in 2010 that sees as a protagonist the collaboration with other artists and the continuous evolution and experimentation of a sound that is well modeled and inserted into the music scene thanks to its Funky, Disco and Soul influences. Celebrate, (Indiana Tones, 2014), is the most famous success of the JazzyFunk project, has resounded in the hearts of many fans of the genre and dance floors around the world, becoming a hit.In addition to evolving into a brand with great resources, JazzyFunk boasts a record label and a shop full of surprises. However, although the project has expanded, the basic principles remain the same, creativity, ambition and a tireless work ethic to push the boundaries of House music, both on stage for live performances and behind their own musical productions.